Happy Easter, one and all. 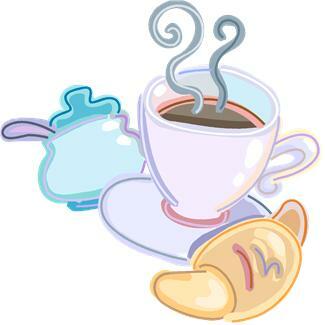 How about a coffee with those hot cross buns or croissants? 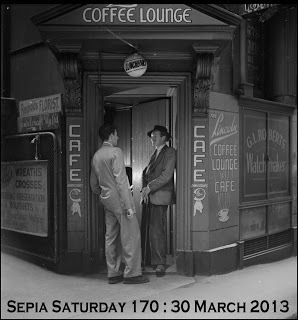 This Sepia Saturday 170 image offers many story and photo opportunities but I’ve stuck with coffee though flower shops would have been another excellent option. I was vaguely surprised to find coffee with such prominence in the days of the photo when tea was so much more popular with Australians. Coffee and this family are a matched pair. We’re far more likely to hunt down a café than a bar especially when we’re travelling…after all you can’t be booked for DUI with coffee…if you could we’d be in big trouble! My first thought was the Monmouth Coffee Shop at the Borough Markets in London but then I found this photo of the nearby coffee and deli. 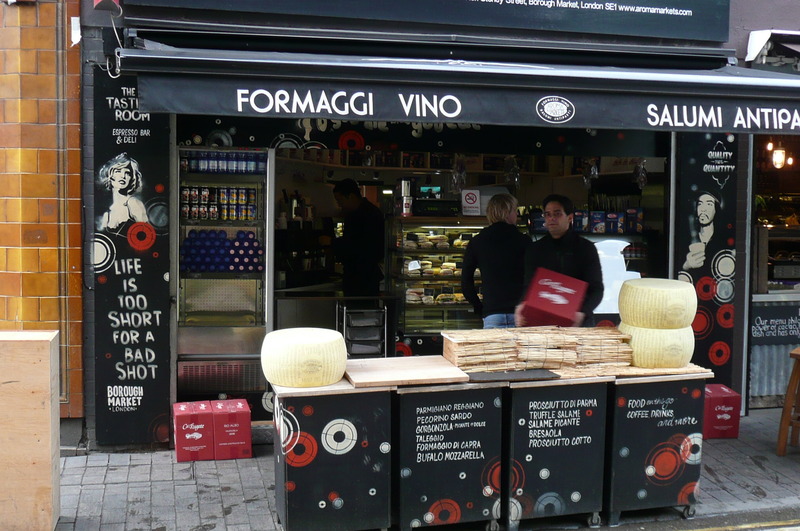 It has a similar vibe I thought to the featured image despite its emphasis on formaggi (cheese). We absolutely loved the Borough Markets and would definitely put it on must-visit list for London. 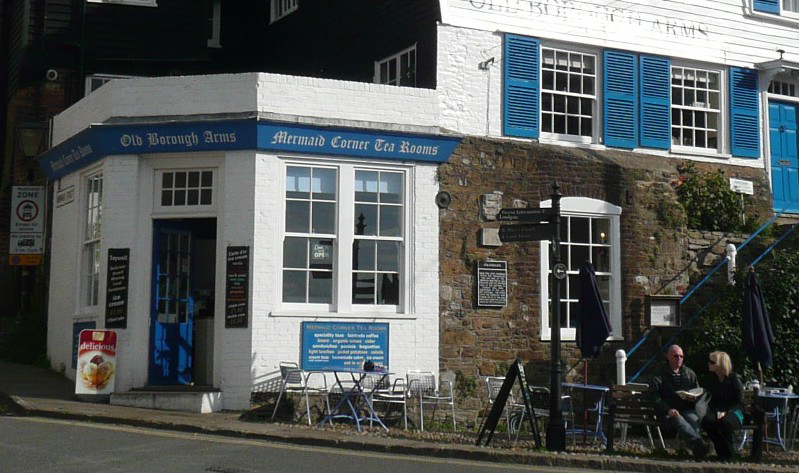 As we got off the bus a man told us we “must’ go to Monmouth Coffee which we did but only took a photo later when it was crowded. It was a bitterly cold morning with a sharp wind and for once coffee just wasn’t a match for a mulled wine even mid-morning, followed by a huge plate of hot Jamaican curry…yummm. 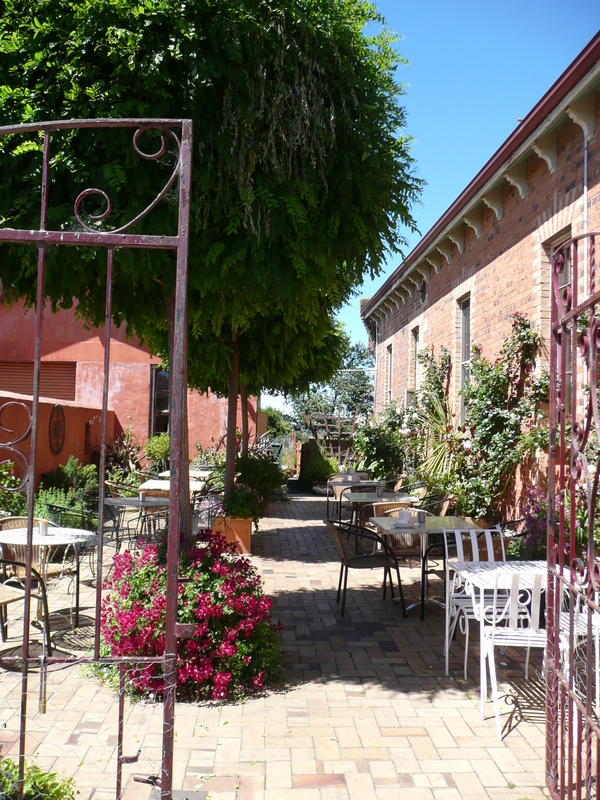 Since I was already trawling my photo folders I just had to share a few of our other travel photos of cafés we’ve seen. France does tea and coffee shops with such glamour it’s hard to resist. 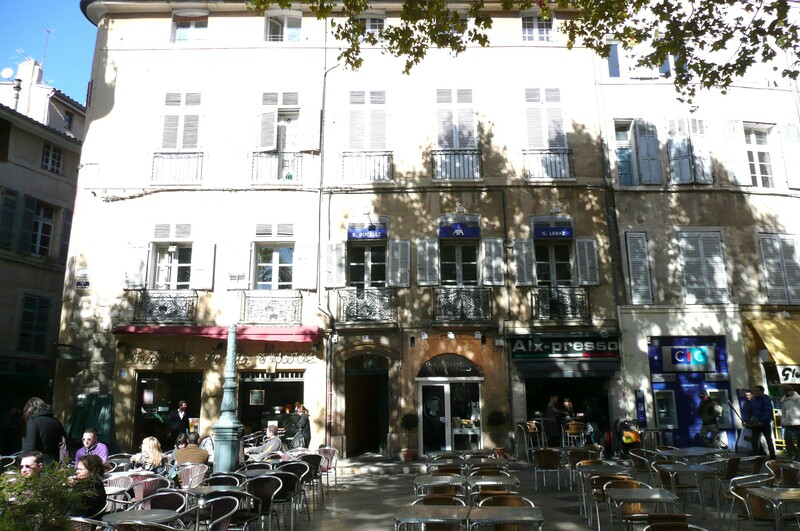 We loved this square in Aix-en-Provence and had a morning coffee there one day. We were amused by the Aix-presso name given Aix is pronounced X. 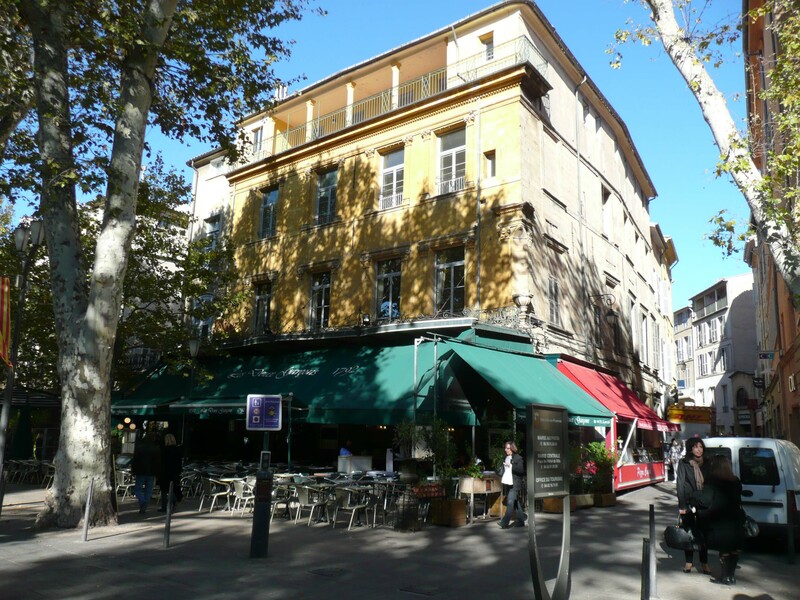 Or how about following in the footsteps of Cézanne at Les Deux Garçons in Aix? 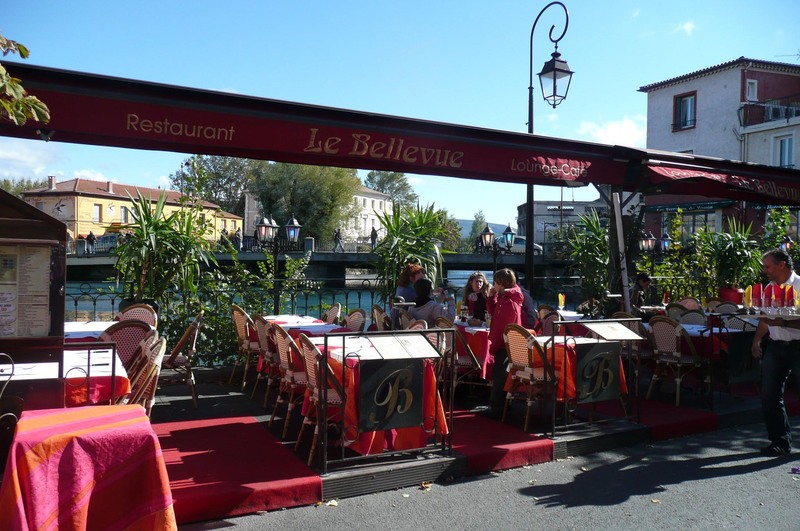 The vivid colours of this café in L’Isle sur la Sorgue in Provence really caught my eye, contrasting with the blue of the canal and perfectly offset by the matching colours of the family sitting there. Unfortunately since we were only having coffee we were sitting inside. In Bali you can order your coffee pool-side and this is how ours was delivered. Coffee by the pool in Ubud. 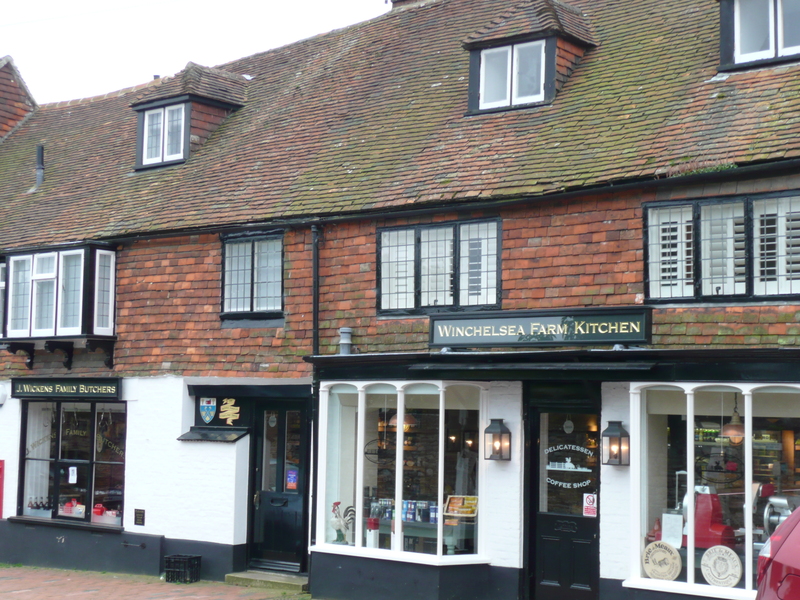 If you find yourself in Winchelsea near Rye, Sussex, why not have a coffee at this wonderful coffee and tea shop plus deli. Delicious coffee and cakes! 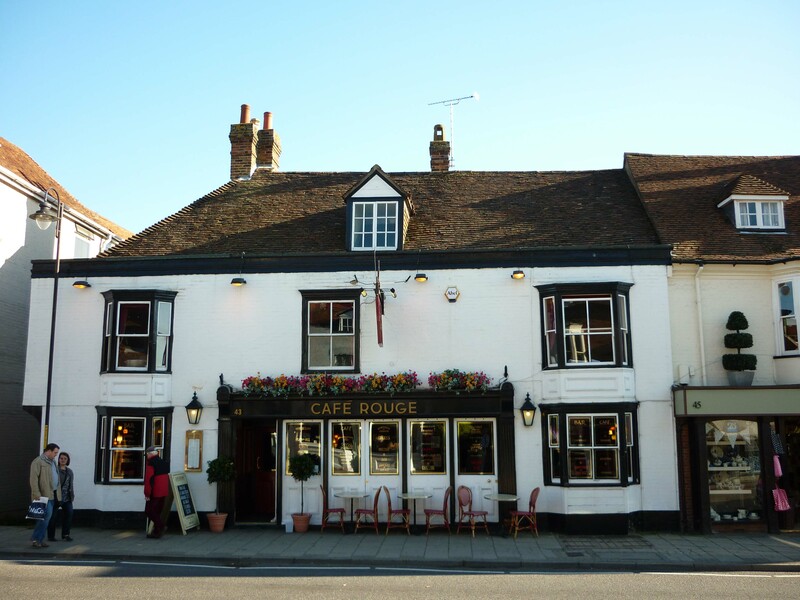 We didn’t imbibe at this lovely café in Tenterden Kent or the Mermaid Corner Tea Rooms in Cranbrook Kent but don’t they look appealing? This entry was posted in Sepia Saturday, Travel and tagged Bali, Cafes, coffee, England, Provence, Sepia Saturday, Tasmania, travel by cassmob. Bookmark the permalink. Around the world with a cup (or two) of coffee. Lovely idea. Beautiful images and a lovely idea for Sepia Saturday! Happy Easter to you and your family Pauleen! You have certainly seen and photographed many coffee shops. Well Done. If the coffee (and cakes) were as good as your photos you had treats worldwide. I enjoyed your travelogue on coffee shops. It is funny how we photograph cafes and shops abroad but I have never thought of doing it here. I msut keep my eyes open more! ,. Indeed Sue! I was surprised that we have virtually no photos of us in coffee shops, especially given how many we visit! I do take photos from cafes and coffee shops here but usually of the views. I enjoyed your coffeelogue Pauleen, very much so. I hope the Easter Bunny brought you lots of chocolate. Thanks Julie…it would be even better if those coffee shops were closer;-) Just enough chocs from the EB….hope you got some treats too. What a delightful collection of coffee shops! I want to go! Dang, what a huge variety of places to visit! Thanks for the tour, Pauline. Aren’t there some wonderful places to have coffee in the world?There is a poem of TS Eliots’ where he measures out his life in coffee spoons, and I suppose you could measure out your travels in coffee cups! What a wonderful thought Little Nell. I don’t know that quote…will have to go look it up. Thank you! Amazing number of coffee shops. I have to remember to start taking photos at coffee and tea shops. I had a surprising number of none in my collection. What wonderful memories you’ve brought back! Thank you for your lovely “collection”! Thanks Charlotte. Glad you enjoyed the coffeelogue. How strange Sheryl, are they not sold in the US? We have them in every supermarket here…usually available 5 minutes after Xmas is finished. Your photographs took me on a lovely journey on a rather gray day. I have travelled so little …. some of these do need to go on my bucket list! What a delightful trip this was, as we are still living in too much winter around here. What wonderful spots and locations and yes, pour me a cup, and no sugar or cream, just some delicious coffee! Good coffee’s always on at our house:-) Glad you enjoyed the escape from winter.